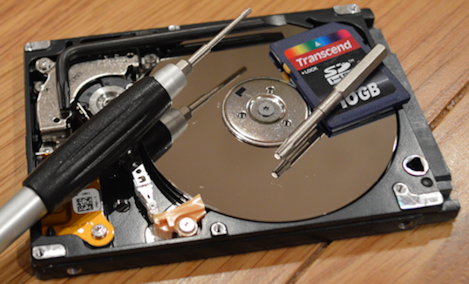 HomeData RecoveryHow Can You Recover Your Dead Hard Drive? You were working smoothly on your computer and all of a sudden your hard drive stops working. It might start making weird sounds or be completely mute depending upon the type of failure it is confronting. U are no longer able to view the folders from your hard drive and no data is accessible. Damn! Its all gone. Your have not even backed up your data anywhere and it was important documents and dear pictures that you can not afford to loose. This is a situation that happens with almost every PC and Laptop user as every hard drive fails, sooner or later. But don’t panic! The data can be recovered. Always turn off your PC and check for basic faults before drawing any conclusion about the hard drive. Sometimes its just the cables that are not plugged properly or have gotten loose. Make sure the power and data cables are snugly attached at the ends. Also check for any physical damages on the body of the hard drive. The easiest way to connect the drive to another PC is by using a USB IDE/SATA ADAPTER. If you do not have one available you can manually insert the hard disk into another PC as secondary device. Make sure the computer detects the hard drive in BIOS before it starts up or you wont be able to access the drive. There is a huge possibility that the drive may start working on the other PC and fault is in your motherboard. when you get sure the fault is in the hard drive itself you should download any of the different softwares that are available on the internet for data recovery. Many of these softwares are free of cost and are efficient to get the job done for you. Rocuva, PC Inspector File Recovery, Hiren’s BootCD and GetDataBack are good softwares for data recovery. Mac users can use MiniTool Mac Data Recovery and Disk Drill to get the job done. Sometimes the shaft of the drive expands due to over heating. This creates a blockage between the shaft and the bearings which seizes the hard drive from working. Keeping the hard drive enclosed in a plastic bag in the freezer for some time allows the material to shrink and get back to its original state, hence, clearing space for the shaft and bearings to turn.